The road from Ijen was short but tiring, and after climbing and descending the volcano amidst the sulphurous smoke my eyes started to close down. 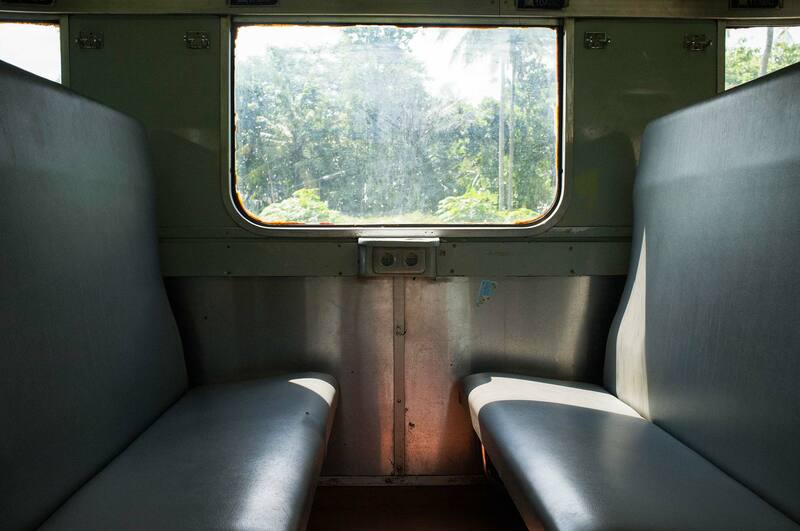 The train to Probolinggo was in the afternoon and so I still had a few hours to sleep. I went home and fell into bed. I bought my 2nd class ticket and went to the platform. It was an unbearably hot day and waiting for the train under the blistering sun became an impossible task. The 2nd class carriage immediately reminded me of an old Russian suburban electric train, except for the metallic interior, electrical sockets under each window and air conditioning units. The latter was a blessing, especially since the train had arrived late. 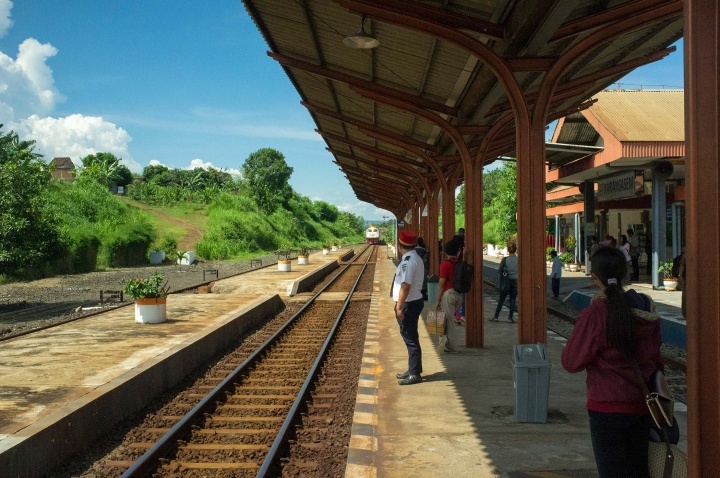 Conductor on the Probolinggo station platform. Indonesian boy plays hide and seek. The landscapes outside the window were full of wonders and impossible to describe in just a sentence. 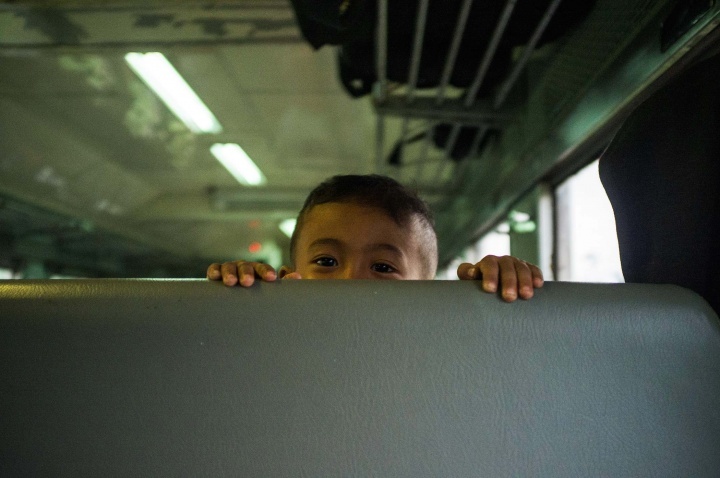 Snapshots of daily life flashed past as the train went by: a boy daringly playing with a kite right on the edge of the platform, a woman in a river pulling her pants up, a man dragging his stubborn cattle through a rice field and a landscape dotted with volcanoes. The train arrived to Probolinggo in the late evening, I found a hotel and took a room for a few days. Over the weekend, the hotel was empty. Similar to Japan, the people who work in the city usually come from nearby villages, they stay in the city for the weekdays and return to their families on the weekends. Colourful interior of my hotel room. My arrival at the hotel happened to coincide with the second anniversary of the previous hotel owner’s death (he was 75 y.o. ), and his family and friends had gathered to commemorate him. The current hotel owner — his wife (she was 32 y.o.) had inherited the place after his death. She spoke a little English and told me the story of their love etc., but in reality there was 40 year age gap between them. It would be like me and Helen Mirren, or me and my grandmother, being together. The cold truth is that if you are poor here, you have no chance in life. So parents actively try to give their children a better chance by making a good marriage, in this case for money. Probolinggo is a small, rustic, port city on East Java’s north coast. Due to its compact size, it can be explored easily in a single day. It’s located on one of the major highways across Java, and has a harbour that is predominantly used by fishing vessels. 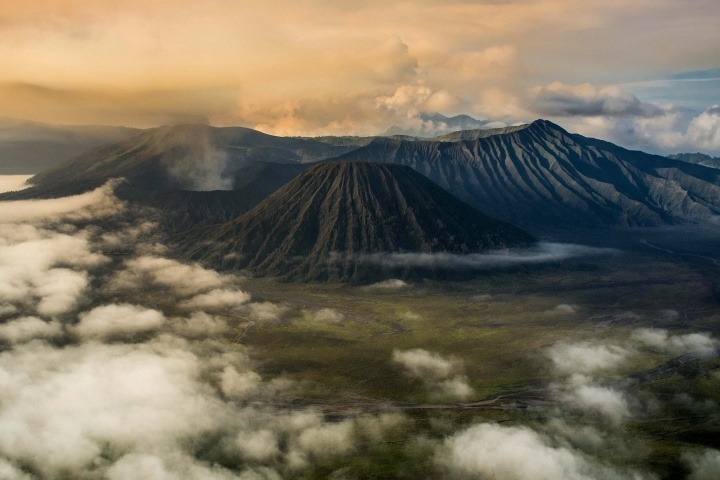 It’s also the nearest town to Bromo-Tengger-Semeru National Park, where I would be heading next. The park is the main reason for any visitor to stop here, everything else the city has to offer, including mangoes and festivals, is of little interest to visitors and usually goes ignored. Just like in Russia, Indonesians, often like to use abbreviations for names. One of them can be found in Probolinggo’s motto — ‘Bestari‘, which is an acronym of Bersih (clean), Sehat (healthy), Tertib (orderly), Aman (secure), Rapi (neat), and Indah (beautiful). I would agree with this to a certain extent, but not entirely. 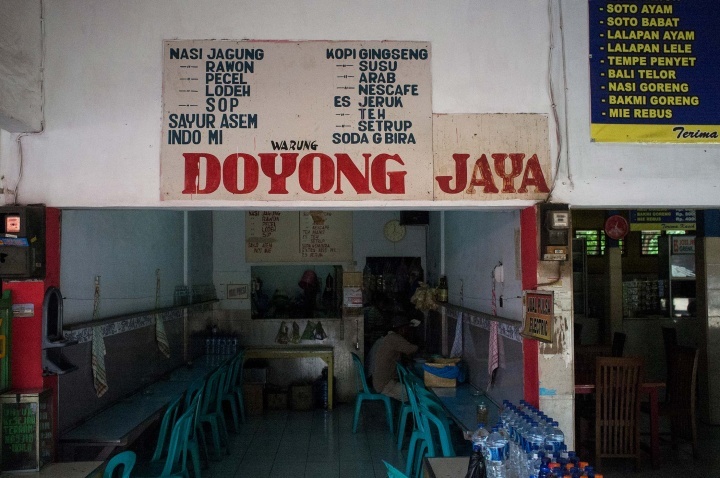 ‘Clean.’ Compared to the rest of Java, Probolinggo is cleaner, if construction rubble, people spitting through doorways on public transport and polluted public parks are discounted. 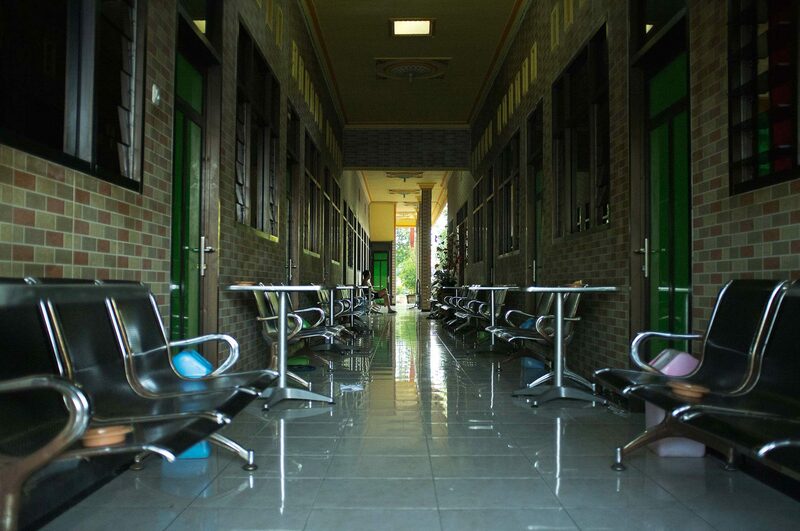 Typical cleanliness standards of Probolinggo. I suppose ‘healthy’ comes from the fact that the city is famous for its mangoes, grapes and other kinds of fruit. However the reality is that on the second and third day of my arrival I ended up being stuck on the toilet with diarrhoea. Presumably ‘orderly’, ‘secure’ and ‘neat’ come from the deadly pedestrian crossings, where you can easily be run over by cars jumping a red light. Or maybe the pavements? These too-high-but-good-for-skateboarders-pavements, turn your walk into a hike — simply walking on and off them forces you to do exercise. They are useless as they are either blocked by random, useless, posts that serve no purpose, rubble, advertising stands, ’decorative’ stones, trees, food stalls, bins or bike drivers. Maneuverering around these things makes your walk a nightmare. I suppose it makes it ‘safer’ or more ‘orderly’ for a pedestrian to walk on the road and get hit by a taxi van instead. Road infrastructure here is a huge joke. It makes you feel like an idiot, one who cannot afford to buy a car. It makes you like an impotent person, who cannot carry out his daily routine. It makes you feel like a worthless human being, for whom walking in the city is prohibited. 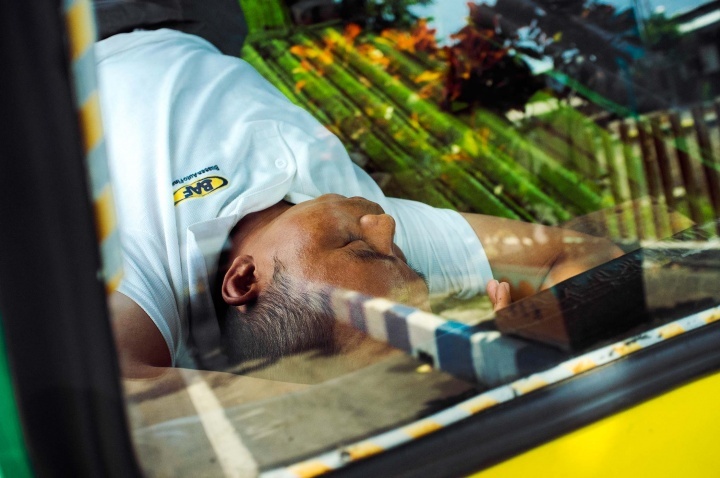 Man resting on a bike-taxi. A distinctive feature of these pavements is that their curbs are painted in the colours of the Greek flag. Aside from these I’ve only seen the stripy curbs of Monaco, used for F1 events. And the last but not least — ’beautiful’, ahem, which is truly subjective I suppose. Probolinggo is home to the Javanese, Maduranese, Pendalungan and Tenggerese, who still practice their centuries-old customs and traditions. 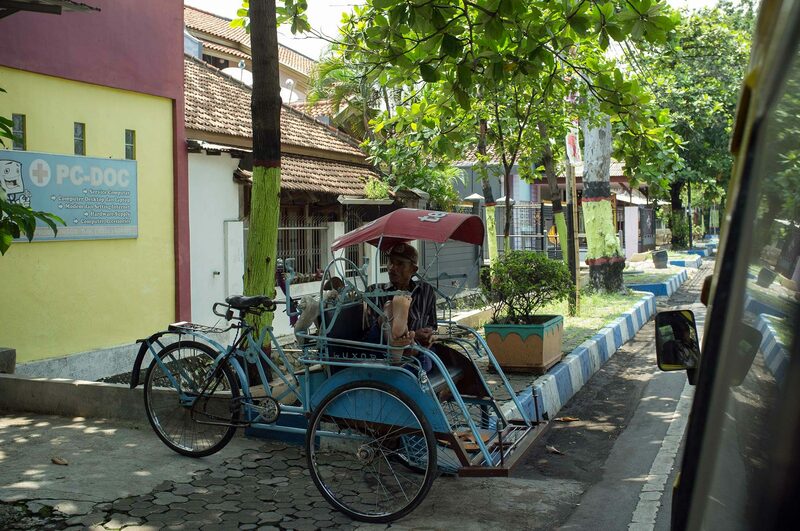 Like most of northern East Java, as well as the population of ethnically Javanese, the city is also home to many people from the neighbouring island of Madura. 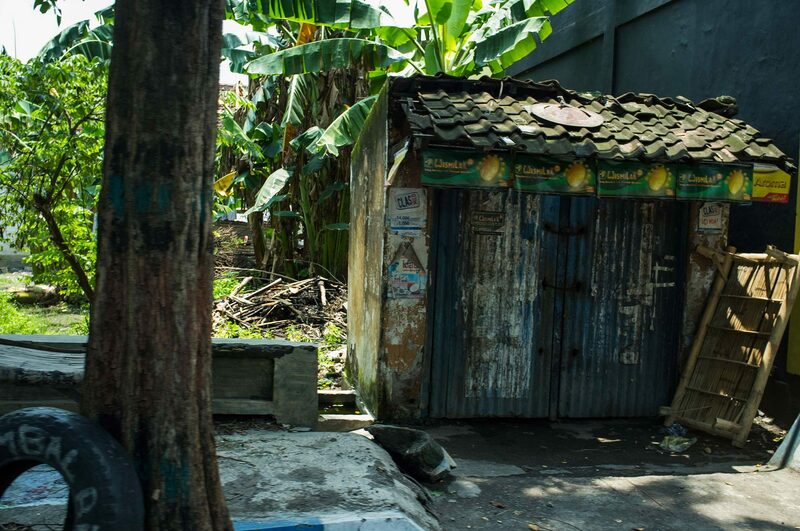 Due to the poor fertility of the land there, Madura remains one of the poorest regions in East Java province. Limited economic opportunities have led to chronic unemployment and poverty, which has created longstanding emigration from the island. 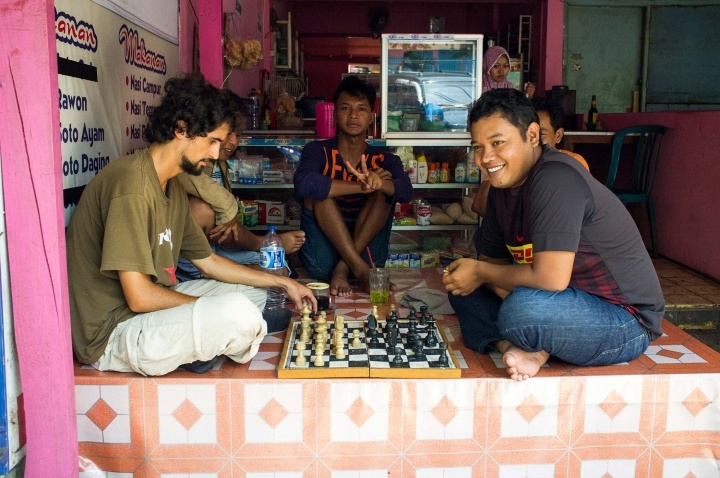 Local drivers play chess with a Swiss guy for a discounted ride to Cemoro Lawang. 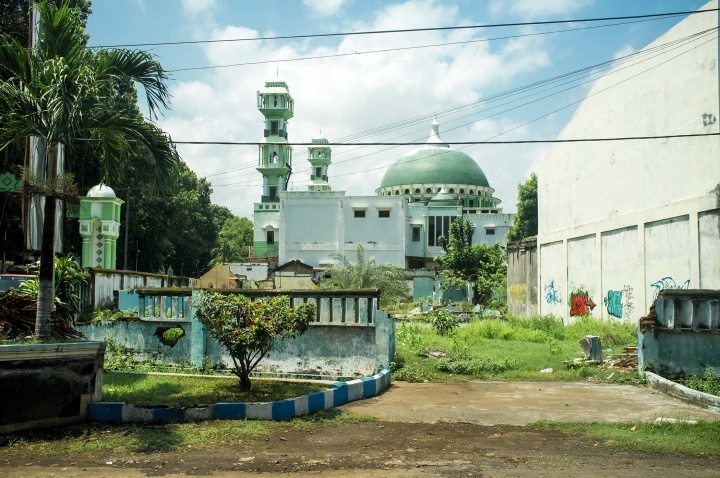 As a result, nowadays, most ethnically Madurese people do not actually live on Madura. After various battles over the island, the Javanese, and then later the Dutch, gained control of Madura. 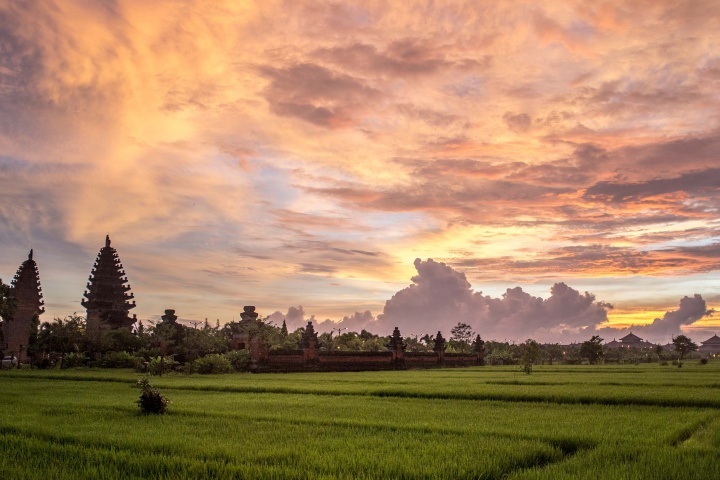 Due to its weak agricultural offering, the island was instead initially used to source military slaves and later as the main supplier of salt in the archipelago, in this respect Probolinggo’s volcanic, mineral-rich soil is highly fertile. Under the Dutch East Indies colonial administration, especially in the 19th century, Probolinggo was, and remains, to be a profitable regional centre for refining and exporting sugar. 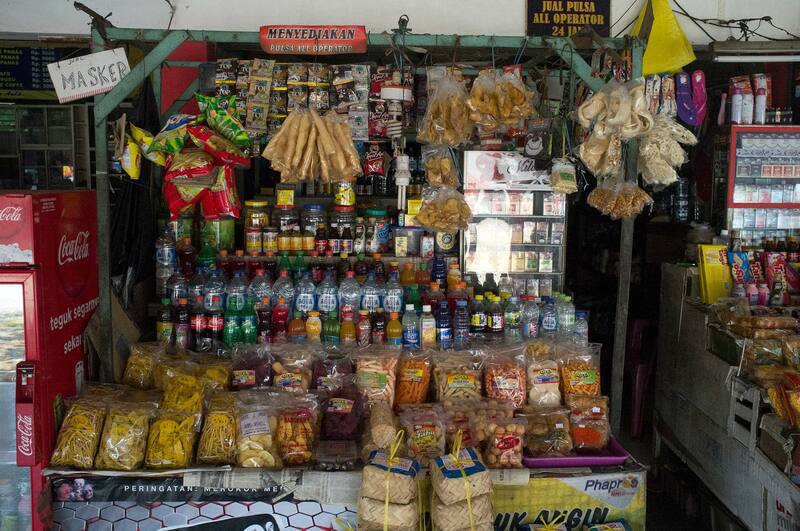 The process of refining sugar uses sulphur, which extracted from the nearby Ijen volcano. 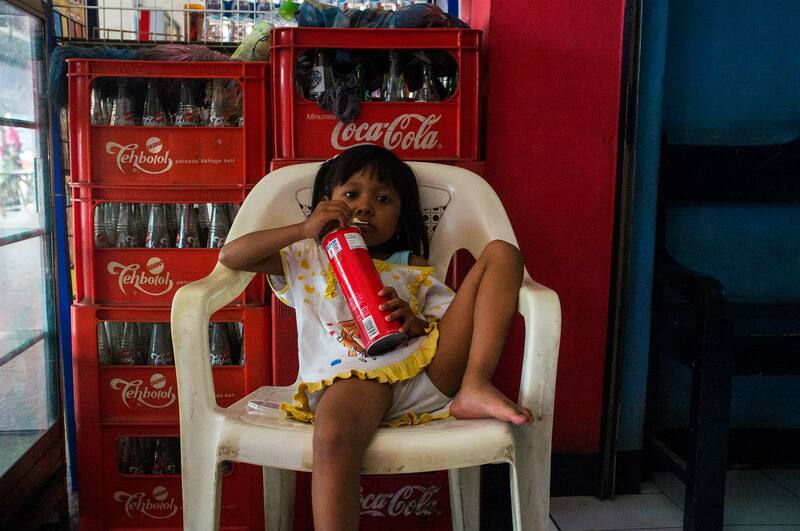 Madurese people have lived on Java for several centuries now. Culturally they are close to the ethnic Javanese; they intermarry, share similar forms of language, folklore, music, dance, and shadow theatre (wayang). They are often characterised as hard workers, stubborn, courageous, possessing integrity and, at the same time, sharpness, resentment, extreme frugality, isolation and distrust towards strangers – especially against the backdrop of kindness and sociability of their neighbours such as the Javanese people. Despite their cultural similarities, the Madurese have been subject to conflict with the Dayak communities (native Javanese). 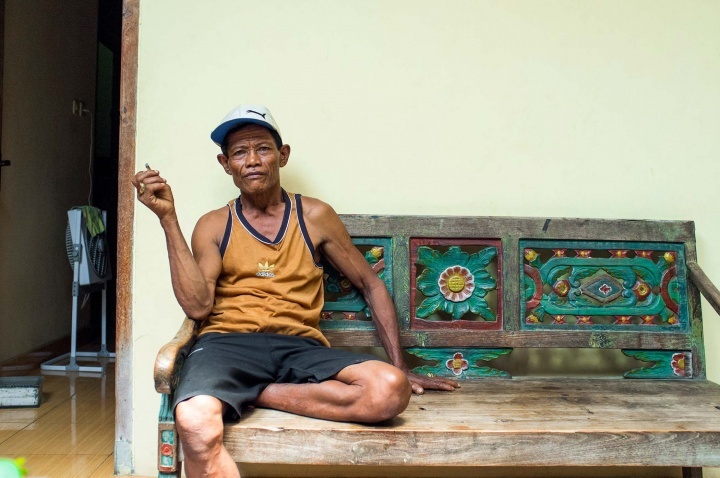 The Dayaks were quite wary of strangers, and they saw the migration of the Madurese as a threat to their traditional livelihoods. Mutual distrust also promoted ethnic, cultural and religious differences. While most Dayak people practice Kaharingan, Madurese people practice carok. Kaharingan is a peaceful, folk religion that promotes life and the idea of a single god. Instead carok — opposite to religion — is an ancient, traditional custom that promotes violence and serves as a problem solving mechanism for any dispute. 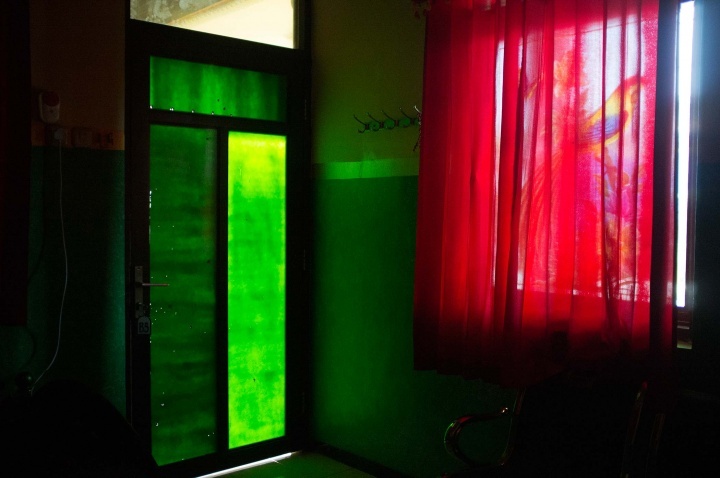 In Madura, there are common beliefs that form the social character. These are the ways of life for people, whereby certain topics are perceived to be sacred and command full respect. Within those topics are Islam, women and self-esteem, — all three are closely intertwined. A disregard for any of the three will bring forth violent retaliation, known as carok. Ethnic bigotry led to violence between the Dayaks and the Madurese in 1996, 1999 and 2001, resulting in large scale massacres of Madurese people. In the 1999 conflict, both Malays and Dayaks massacred Madurese, leaving thousands dead. 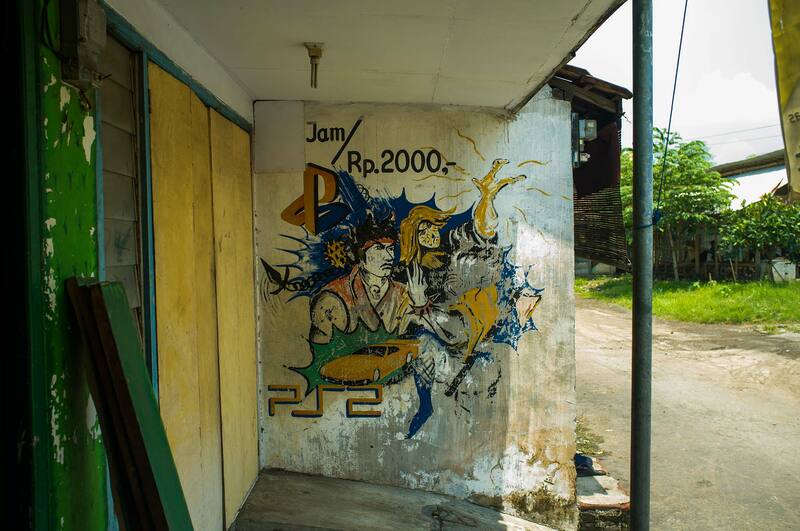 In recent years, the situation has calmed somewhat and the exodus of Madurese to Java continues. But who knows what will happen in the future.